How can you get your story picked up by the media? Here are a few practical tips to follow. Show producers and journalists receive hundreds of pitches every week, so don’t take “no” personally. It could be that they recently did a similar story, or your particular story angle just isn’t right for them, or it might not be the best time for your type of story. Timing is very important when it comes to introducing story ideas to the media. Ask them if someone else may have an interest in your story. If at first, you don’t succeed, try again but wait at least one or two months, then introduce a different story angle. Never pitch a reporter or show host the same angle more than once. Keep your e-mail pitch short and to the point and never include attachments. Instead, include a link to your website where more information is available. The role of the media is to inform, educate and entertain their audience. 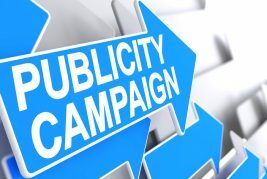 If you can help them do that and you do it well, you will be presented with extraordinary publicity opportunities. Until then, wishing you lots of publicity success.